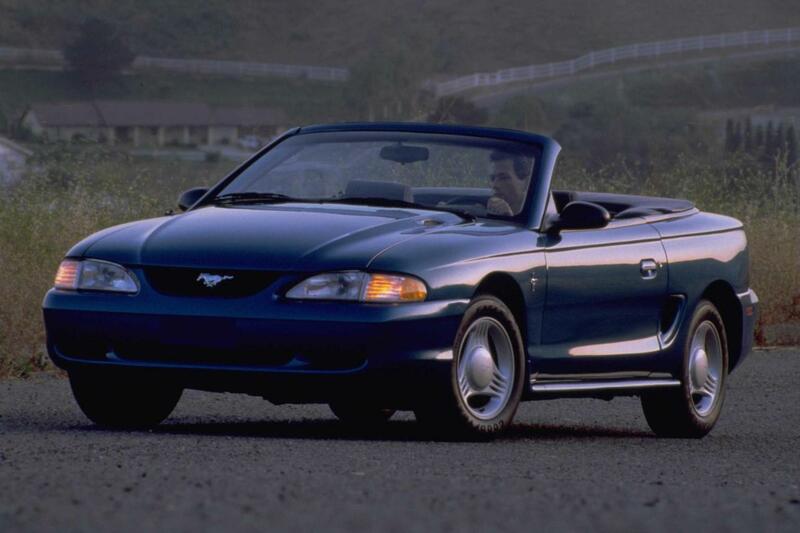 Additional Info: 4 wheel disc brakes are now standard. 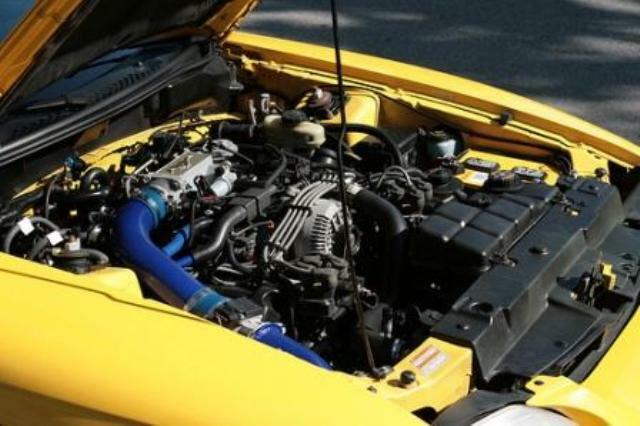 Engines for 1994/95 included a 145bhp 3.8 V6, a 215-225bhp 5.0 V8 and the Cobra with a 240-245bhp 5.0 HO V8 (0-60 in 5.9 secs). 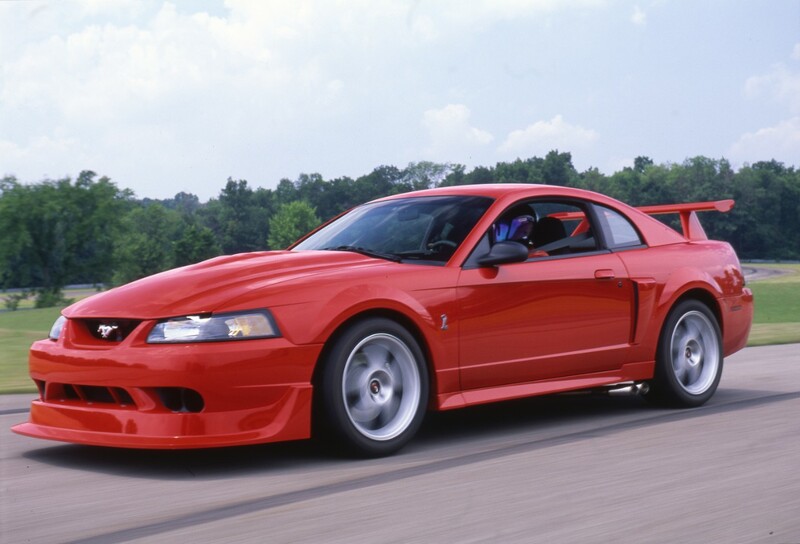 In 1996 the 5.0 was replaced by a new 4.6 litre V8 rated at 215bhp in the GT and 305bhp in the Cobra. 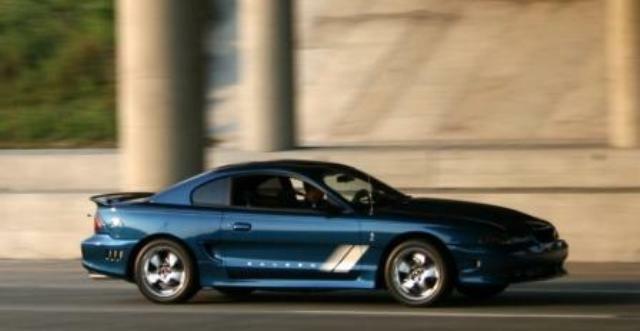 In 1998 the 4.6’s power was increased to 225bhp. 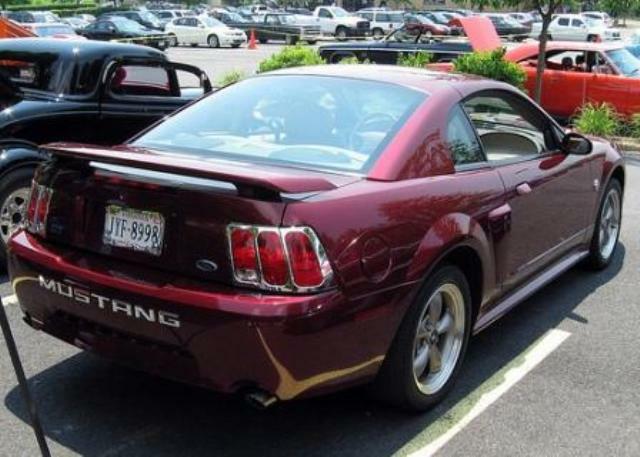 In 1999 a restyle gave more aggressive sharper lines. 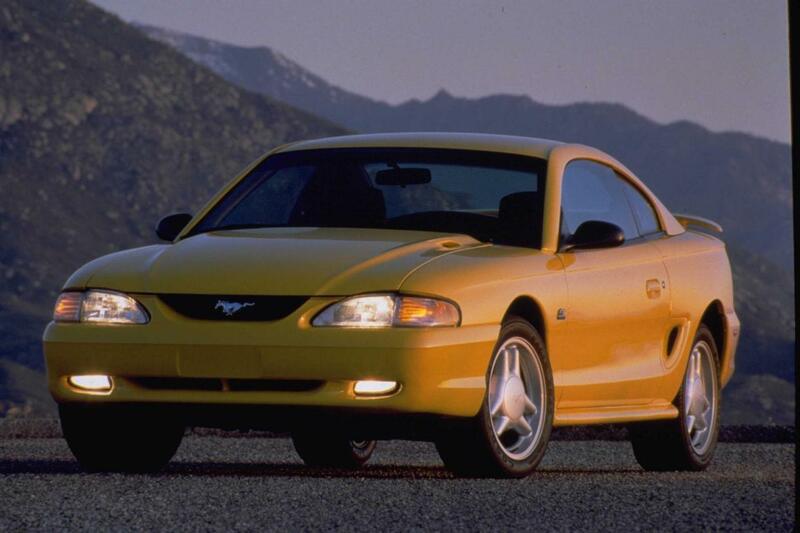 The 3.8 V6 was now rated at 190-193bhp and the 4.6 V8 was now at 260bhp. 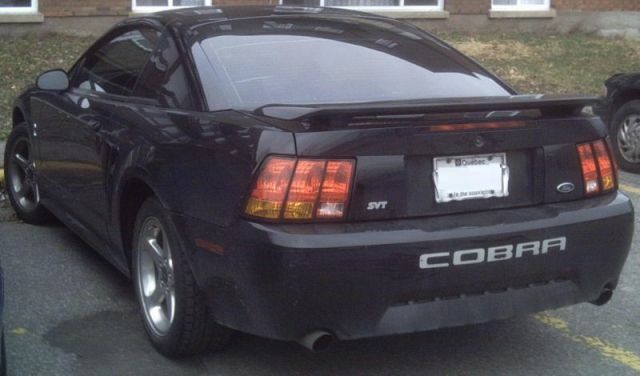 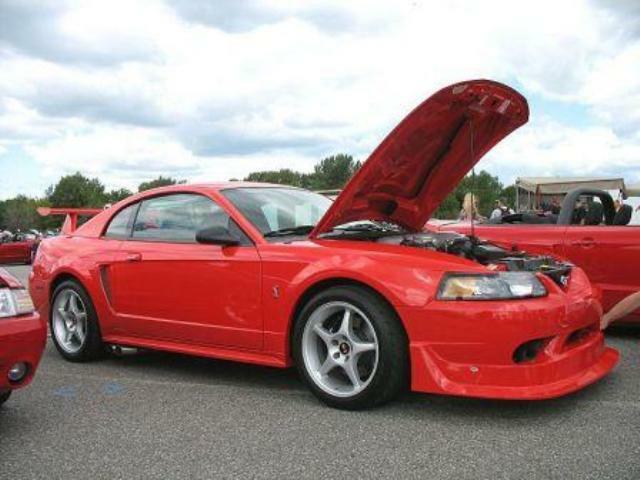 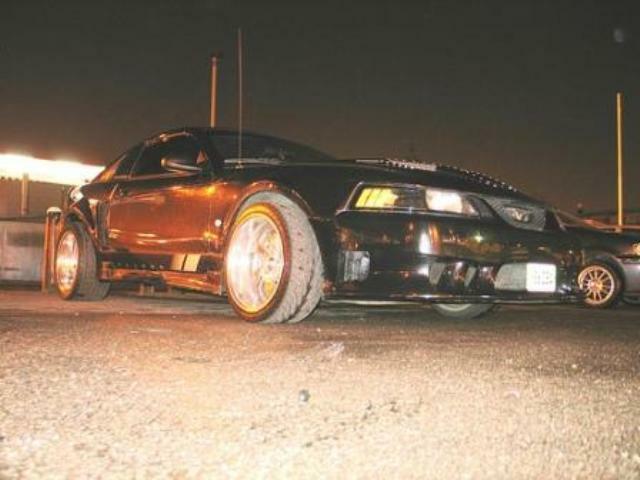 Other special models were a 265bhp Bullitt Mustang, a 305-320bhp Cobra/Mach 1 and a 2003 385-390bhp SVT Cobra R (see below). 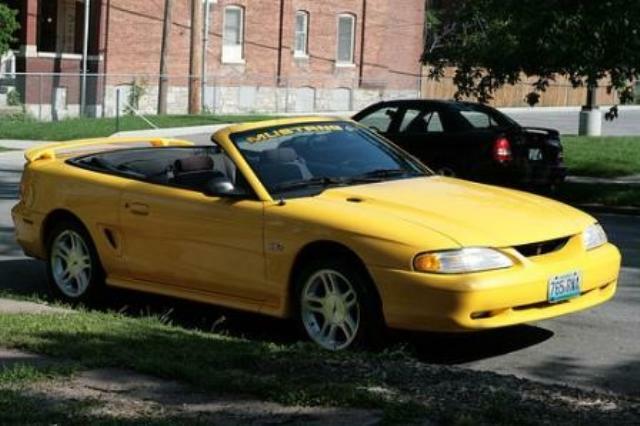 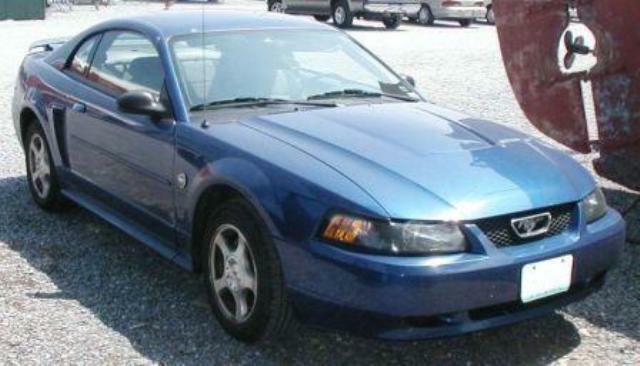 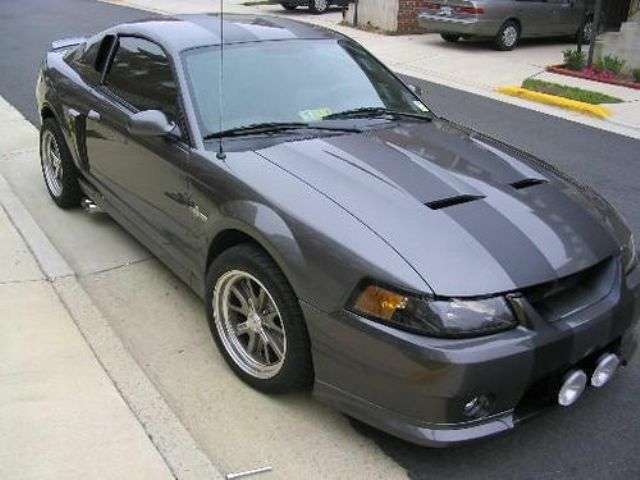 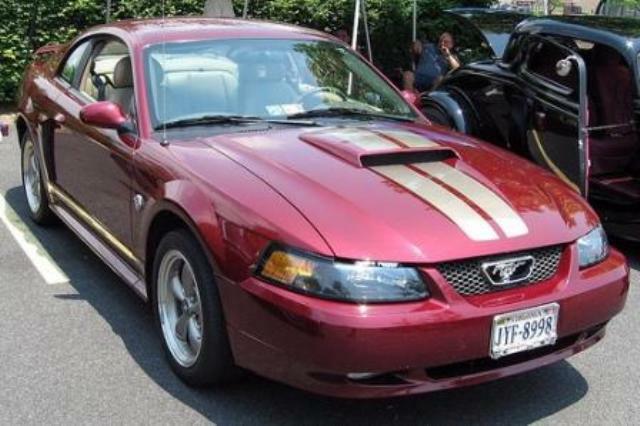 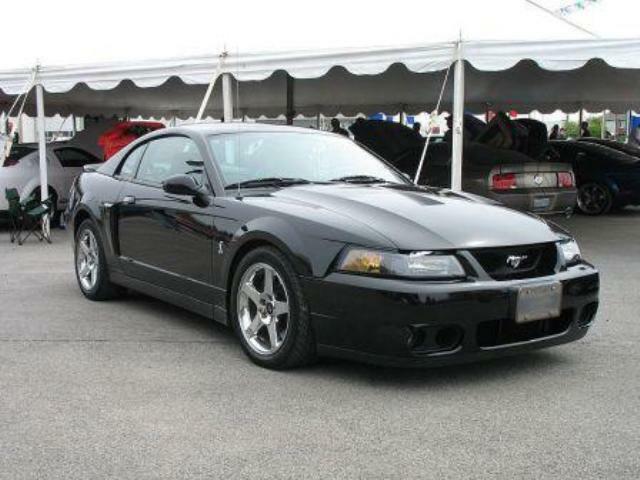 As with earlier Mustangs there were many appearance and performance options made available. 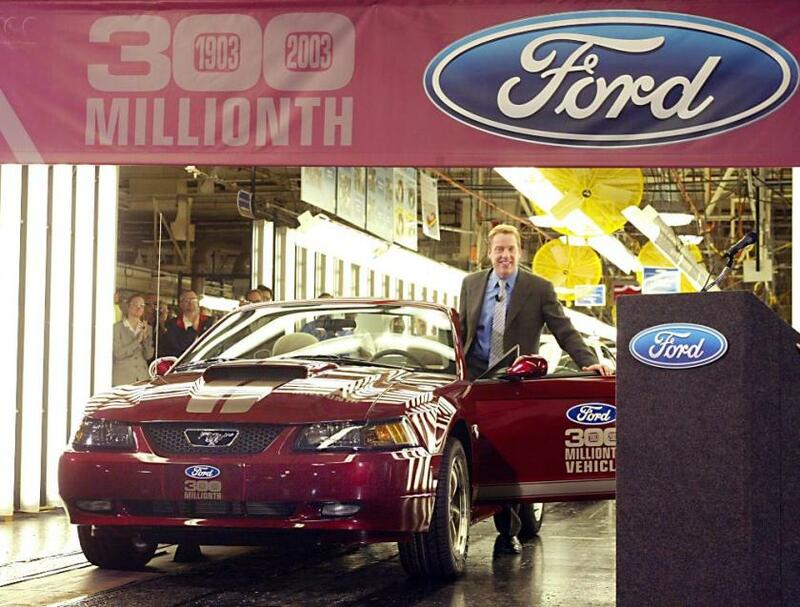 Additional Info: Only 300 were built.